Mumbai : Time and again Sara Ali Khan has proved that she is way more mature than her age. Her recent interview in the Vogue magazine is another example. She candidly shared about her life. Speaking about Kartik, she said, "If you knew all the thoughts I have but don’t do anything about, I promise we would get over this Kartik Aaryan thing." Lately, on Koffee with Karan show, Sara had said that she has a crush of Kartik Aaryan and would like to go on a date with him. Reacting to her comment, Saif Ali Khan had said that she could only if he has money. Later when asked about the same, Kartik had blushed and said that he was busy making money, as Saif has said, to be able to take Sara out on a date. 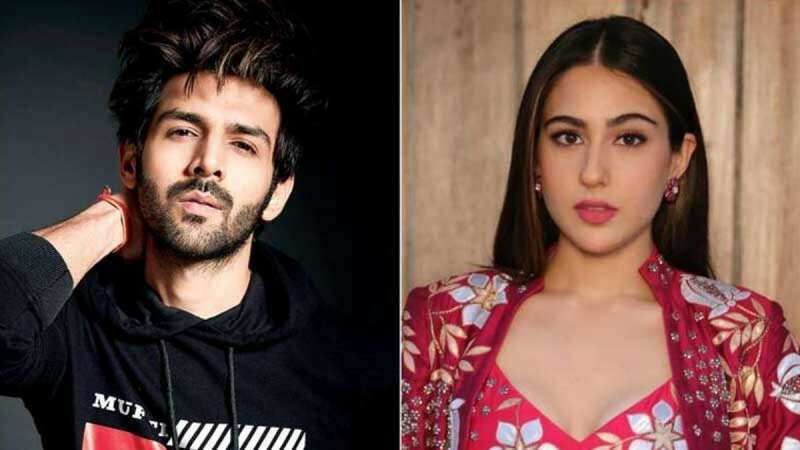 On the work front, Sara Ali Khan and Kartik Aaryan will be seen sharing the screen space in Imtiaz Ali's next movie. They recently completed the Delhi shooting schedule for the movie. Both the young actors have had a successful year in 2018. Sara made an impressive debut in Kedarnath while delivered her first commercial success with Simmba. Kartik, meanwhile, began his 2018 journey with a surprise hit in Sonu Ke Titu Ki Sweety and later this year, he gave another hit with Luka Chuppi.